… statement by BDO Accountants upon resigning as Harlequin Property’s auditors. What’s that saying about a shoe fits? Or is pig with lipstick? Or if it walks like a duck with shoes and lipstick? Harlequin Property, the UK-based overseas property sales agent that is at the centre of a Serious Fraud Office (SFO) investigation, has lost its second auditor in under three years. Accountants BDO has filed a public resignation at Companies House saying it can no longer act as auditor for Harlequin Property, according to the Brentwood Weekly News. For the second time in the last few months a Barbados Free Press story is featured at USA Today’s website so we’re saying “hello” to a few hundred new visitors who wouldn’t normally drop by. The Harlequin lawsuit against Irish contractor Padcraig O’Halloran is gathering a whole lot of interest here at BFP and around the world and a good measure of that interest is fueled by allegations that Mr. O’Halloran stole money to keep a woman happy. Buccament Bay intrigue: Harlequin’s star witness a fraud? Harlequin Property CEO David Ames is alleging that Padcraig O’Halloran, Managing Director of the ICE Group, diverted “significant sums” of project funds to O’Halloran’s girlfriend. According to the Irish news media, Harlequin’s star witness is Mr. O’Halloran’s former employee, “Trisha Young”… but a Miss “Trisha Devoni-Young”, a financial controller for Cable & Wireless, was once charged for theft and fraud. 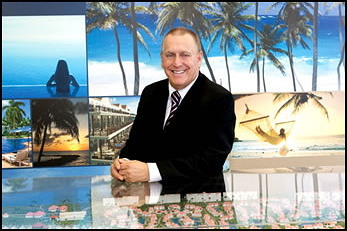 Merricks Beach Resort developer says O’Halloran stole funds to woo woman with jet set lifestyle! It’s quite a story coming forth in Caribbean and Irish courts. Harlequin Property CEO David Ames is alleging that Padcraig O’Halloran, Managing Director of the ICE Group, diverted “significant sums” of project funds to O’Halloran’s girlfriend. Diamonds, chartered jets, a home at Sandy Lane, Barbados – apparently nothing was too good for Suzanne Floyd, or so say the court documents. Sorry folks, but I love it when the Gulfstream crowd self-destructs via over-spending, over-indulging or that old standby, a femme fatale.